Rocket introduces the "American Boxes" collection. This collection of jewelry boxes brings you the rich stylish velour covered boxes. 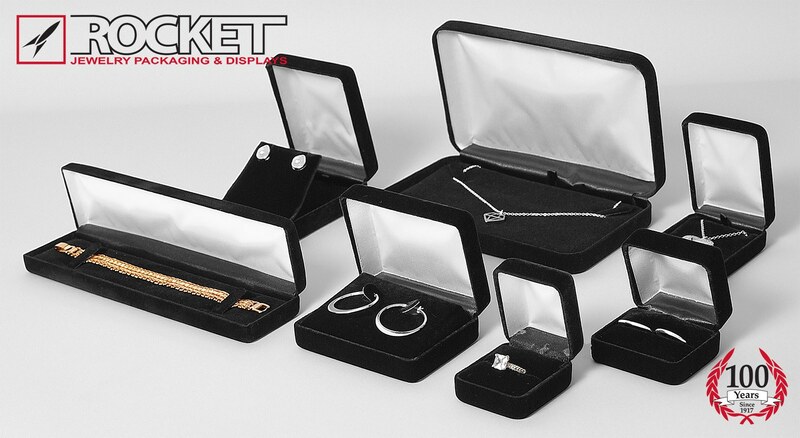 This is a very diverse line of boxes featuring every packaging option your jewelry will need. This collection also includes a sleeve. A two piece paper box is available at additional cost.